For those that know me, I LOVE Halloween. It may just be my favorite holiday. It was no surprise I was going to go all out and get creative with costumes this year. Dressing up the bump this year was going to make Halloween all the more fun! As I do every year, I came up with 3 separate costumes. I bought one shamelessly and decided to make the other two myself. Enjoy my costumes! Costume 1: Avocado! Or as I would say it ... AvoKiddo! I found a picture of this on Pinterest and laughed for a good 5 minutes before deciding I HAD to do this. I wore this to my work Halloween party and my CEO thought I was a pear ... Yep. I like to think I did a good job though. 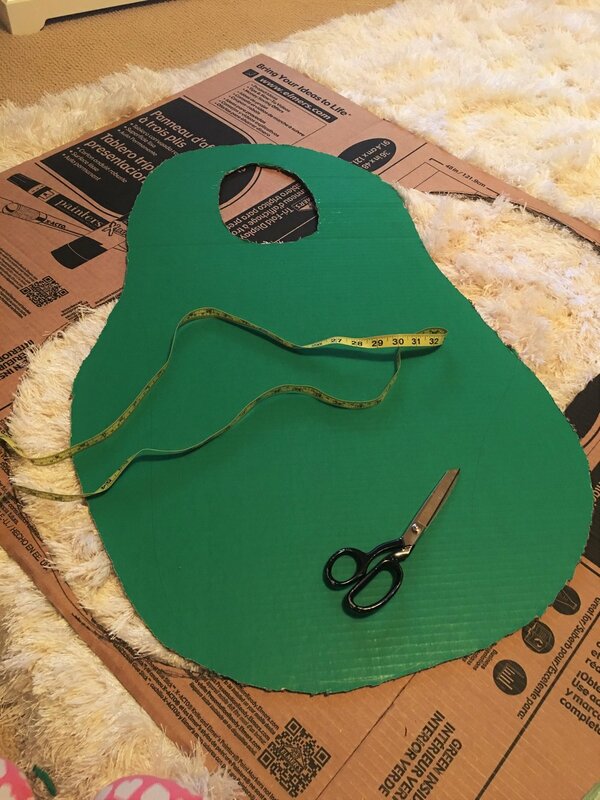 Make an overall Avocado shape over the poster board and cut it out. Have someone help you measure your face and belly for those smaller cutouts. Spray the insides with the yellow green leaving plenty of poster green around. It's okay to make it patchy as that makes it look real! Wear a fitted brown shirt underneath to represent the seed and TA DA! You're an AvoKiddo. Costume 2: An X-Ray! I bought a cute Halloween Prego shirt off Amazon and thought of this idea. It was so simple and looked super adorable. I wore this on Halloween day as I handed out candy to trick or treaters. Lastly, my Halloween costume over the weekend with my husband was none other than..... *drum roll* a bun in the oven and of course, the BUN MAKER! We got lots of compliments and "Awwws" that night. Plus, I was super comfy. I had initially thought of making this my costume from scratch, but decided otherwise. As far as where I got them, these were on amazon for a pretty decent price!